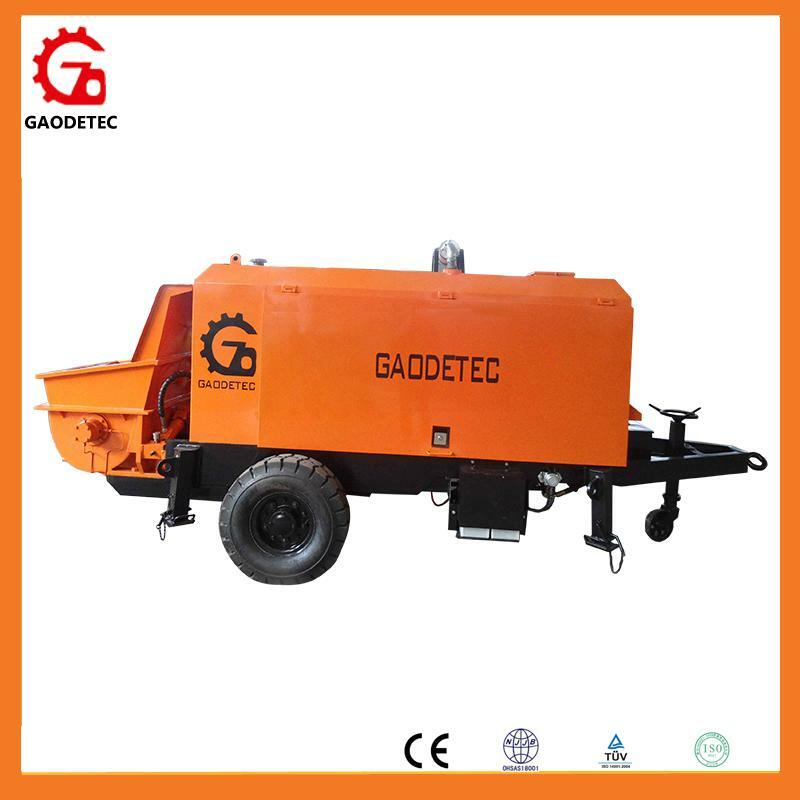 In order to meet the demand of open country and other no power supply constructions, we research and developed the diesel engine concrete pump. 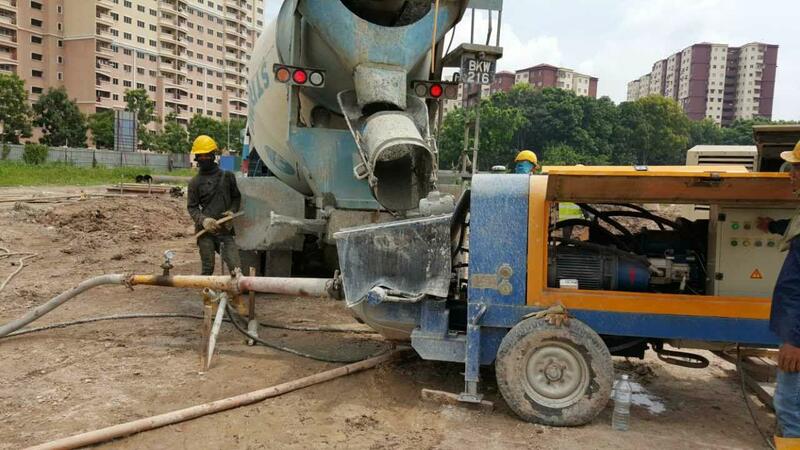 Our concrete pump is set of mechanical, electrical and hydraulic technology as one, with reliable performance of smooth operation and strong pumping capability. 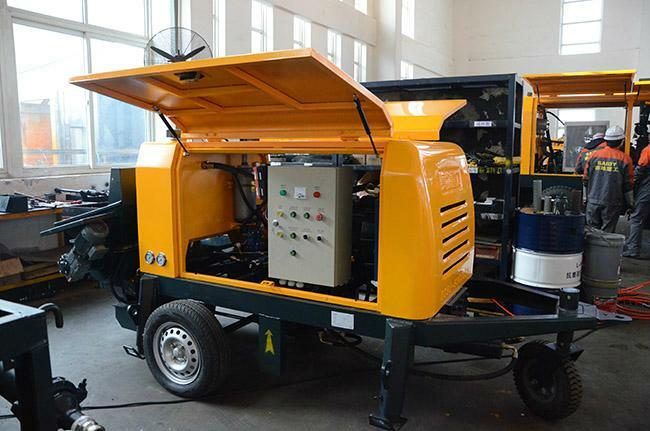 The diesel engine is with advanced high quality, low emission, low fuel consumption, meet the advanced standard. Reliability and stability is guaranteed by automatic engine regulation. 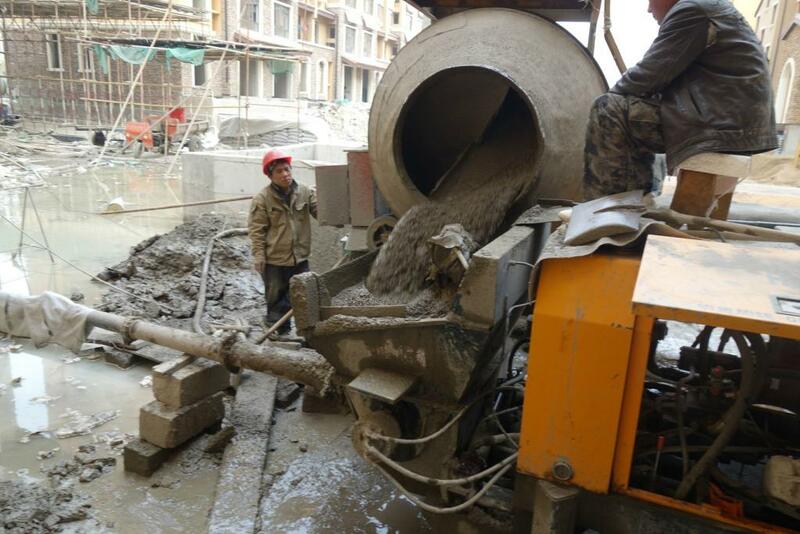 6) Pressure grouting of all kinds of foundation pile. 1. 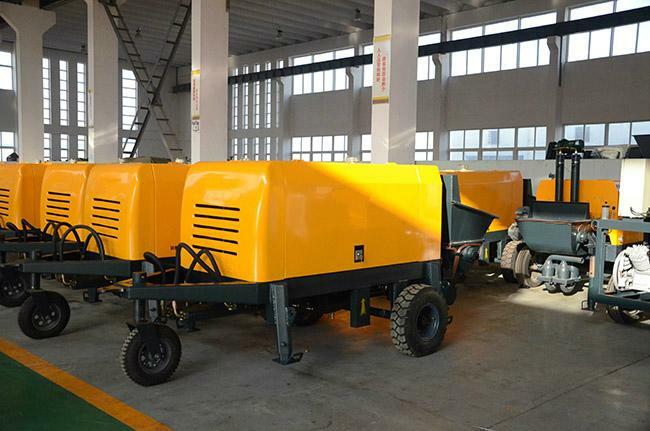 The products adopts double-pump and double-circuit open hydraulic system. The pumping hydraulic circuit and S valve swing post hydraulic circuit work separately, which makes the system simple, component life extension, higher reliability, and is easy to fault judgment and ruled out. 2. 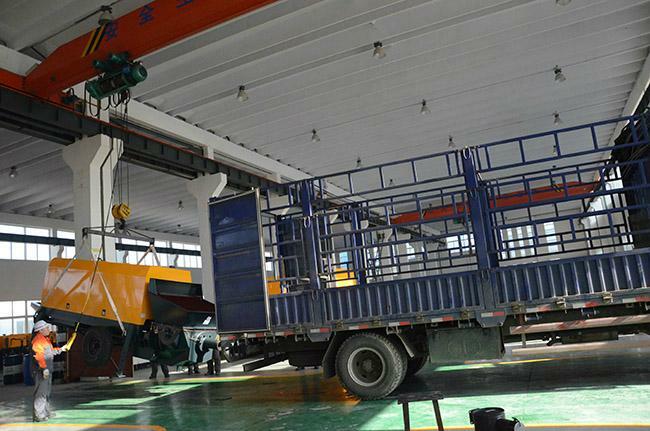 In view of the weaknesses of big reversing impact of start system, technology is used to pumping hydraulic system to control pilot relief, which avoids the reversing impact and makes the main pumping hydraulic system more reliable and stable. 3. Pumping hydraulic system has safety overflow protection. At the same time, when system is over pressure, oil pump pressure automatically cuts off the interception device to make the main pump obtain more reliable protection. 4. 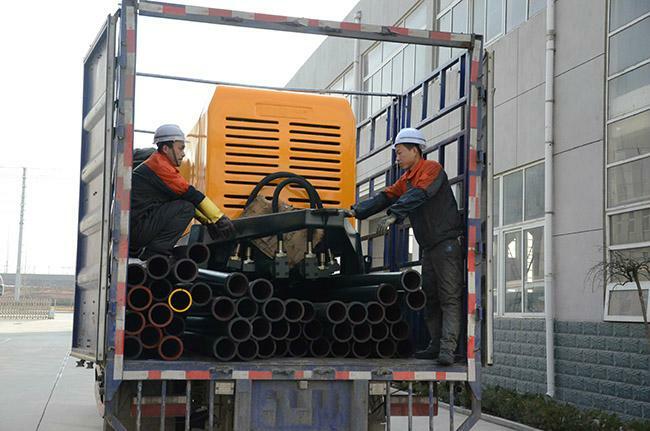 Swinging oil-way adopts constant pressure pump to supply oil. It has great swinging strength and energy-saving function. 5. 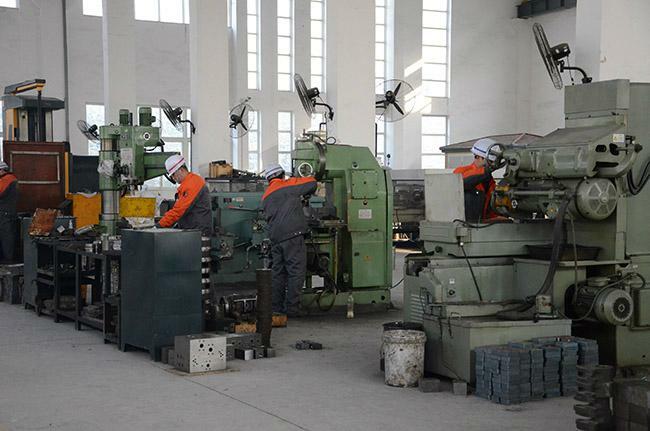 All pipe line adopt taper sealing or rectangle sealing, and pipe joint sealing is reliable. II. Electric control system The outstanding features of electric control system is advanced technology, easy operation and high reliability. 1. 90% of the electric elements are supplied by Mitsubishi Japan, which guarantees high reliability. 2. Compared with the domestic similar products, the electric control system is most simple, with the minimum quantity of components and highest reliability. 3. With wire remote control, it could be convenience to operate. 4. The adopted contactless commutation of proximity switch ensure the reversing reliable. 1. The design of the main force-summing element, such as hopper and S valve, adopt the mechanical engineering mechanics calculating program. Through this subdivision mesh finite element calculation to its stress state, structure system, the condition of stress concentration, the hopper and S valve have good structure steel level and manufacturability, which is useful to avoid the phenomenon of hopper distortion and S valve broken in the condition of high-rise pumping. 2. The agitator has unique structure, which totally separates the hydraulic motor and agitator bearing block. 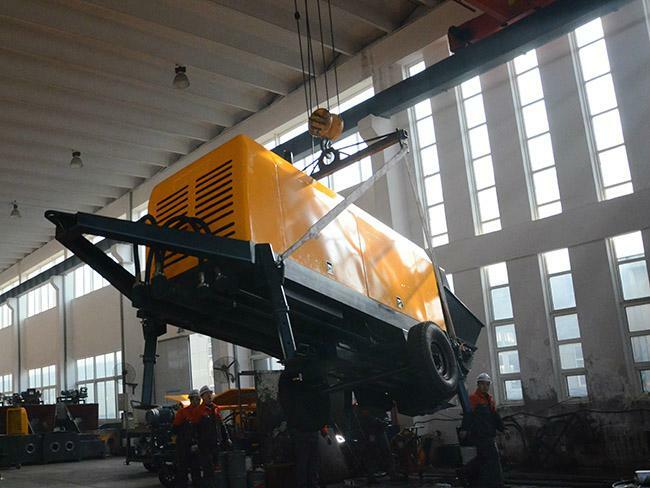 It will not influence the hydraulic motor even if there is seal abrasion and slurry leak. 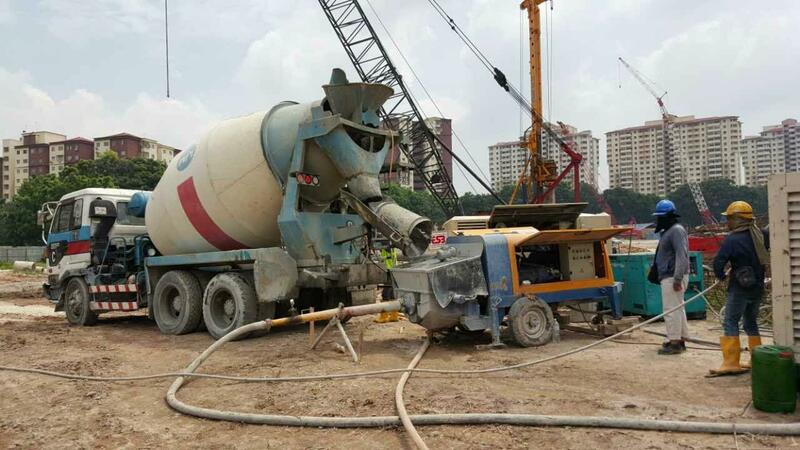 Meanwhile, using single motor can avoid the agitator’s mixing torque out of sync caused by bi-motor under the condition of the concrete material abnormal. 3. The service life of wearing parts such as spectacle plate and cutting ring is long after continuous technical research. On the best pumping condition, it can pump 20000m3. 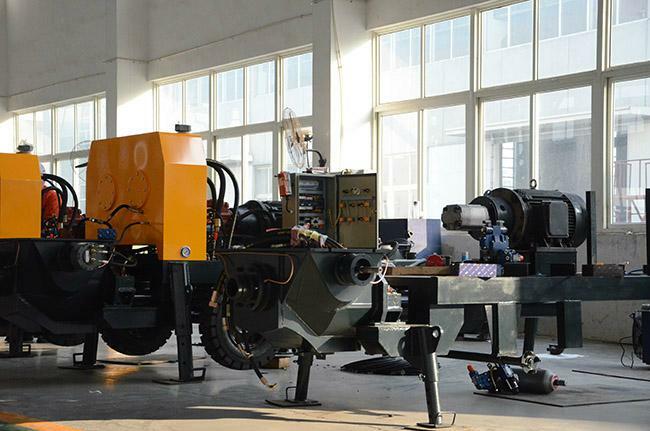 The lubrication system has concentrating automatic lubrication system; Pressure increment device and filter are fixed on output port of lubrication pump to ensure the lubrication system more reliable. 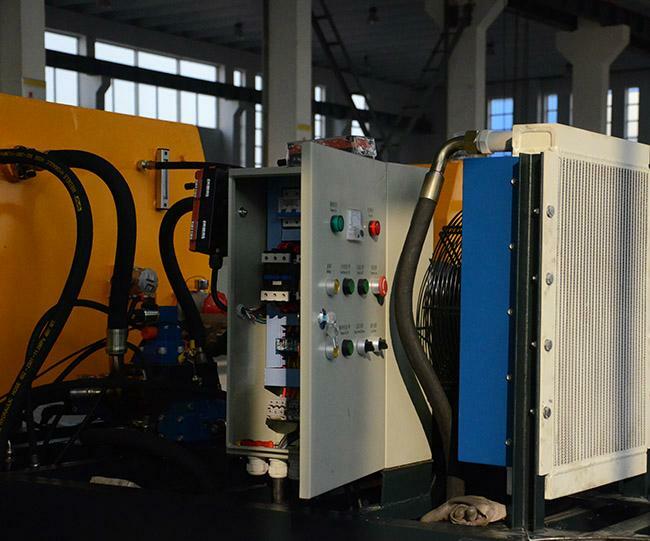 V. Cooling system The big radiator equipment of forced cooling makes the working oil temperature of hydraulic system below 60°and ensures the host of the hydraulic system in a normal state.